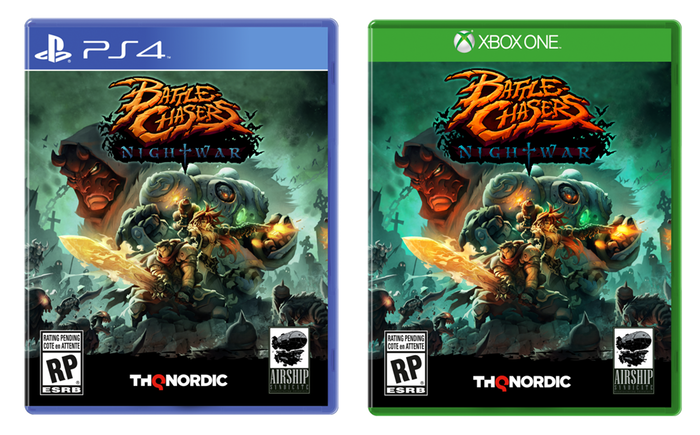 As part of a recent update to backers, developer Airship Syndicate has provided a release window for their crowdfunded video game continuation of the Battle Chasers comic series: Battle Chasers: Nightwar. An alpha is set to launch in November, followed by a beta in January with the full release expected sometime in the middle of 2017. As part of their new relationship with the newly christened publisher THQNordic, Airship also announced that the once digital only title will now see a physical release in stores. Better still, they’re also working out a way to allow backers to upgrade to a physical release, though the logistics have yet to ironed out. As someone who loves to own things on a shelf, this personally is great news. I was looking forward to playing the game anyway, but am even more excited knowing that I can somehow upgrade to a physical copy. Airship Syndicate is made up of ex-staff from Vigil Games, who are best known for the Darksiders series, including Joe Madureira, the creator of the Battle Chasers.